If you’re considering buying a Mercedes-Benz, then you know you deserve the best. 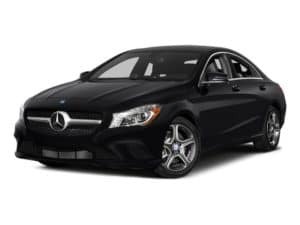 However, before driving off the lot with a brand-new model, consider easing your way into safety, performance, and luxury with a used Mercedes-Benz in San Antonio, TX. Buying a used car doesn’t mean you need to compromise, particularly when you’re looking at a pre-owned Mercedes-Benz for sale in San Antonio, TX. The used car market is more comprehensive than ever before. Just be sure to do your homework. Walk onto the lot knowing exactly what you’re looking for and you’ll drive home happy. Do you see evidence of any current or past oil leaks? Do you see evidence of any current or past transmission fluid leaks? Do you see evidence of any current or past antifreeze leaks? If the previous owner followed the maintenance plan, the hoses should be in nice condition. If you see signs of frayed belts or floppy hoses, ask the dealership to replace them before purchasing. Checking the radiator is as simple as looking at the color of the coolant. If it has either an orange or green tint, the radiator may have an issue. Simply look at the battery’s indicator light. Green means good. If it’s yellow or black, you’ll need a new battery soon. 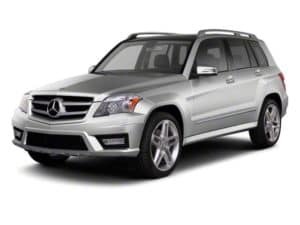 The look of the Mercedes-Benz for sale in San Antonio, TX, is one of the main reasons you want it. Don’t be immediately smitten by the sleek design. Take your time doing a long, slow inspection of the exterior, noting any dings, dents, scratches, or signs of obvious work. Pay particular attention to the glass, lights, and tires. Defects in these three categories can mean big repair bills if you miss something before finalizing a purchase. This is where you spend all your time, so be sure it is the right fit for you. Use your senses. A quick visual inspection of the seats, roof, and controls will tell you how the car’s interior has been treated by its previous owner. Be sure to do a “sniff” test for any odors that seem out of place. Mildew and mold in a car’s interior will only get worse if not treated. Buying a pre-owned Mercedes-Benz in San Antonio, TX, means you’re planning to own the car for a long period of time. Over the years you’ll need a trusted mechanic to assess issues and fix them. Don’t wait until you have an emergency situation; choose your mechanic now. Start by asking at the dealership, but keep in mind that you’ll need someone who’s constantly available. You’ll want to build a relationship with them and trust to work on your luxury car. Over time, they’ll “get to know” your car too, resulting in an extended ownership of a vehicle in prime working condition. If you’re ready to drive in pre-owned luxury, there’s a used Mercedes-Benz in San Antonio, TX, waiting for you.